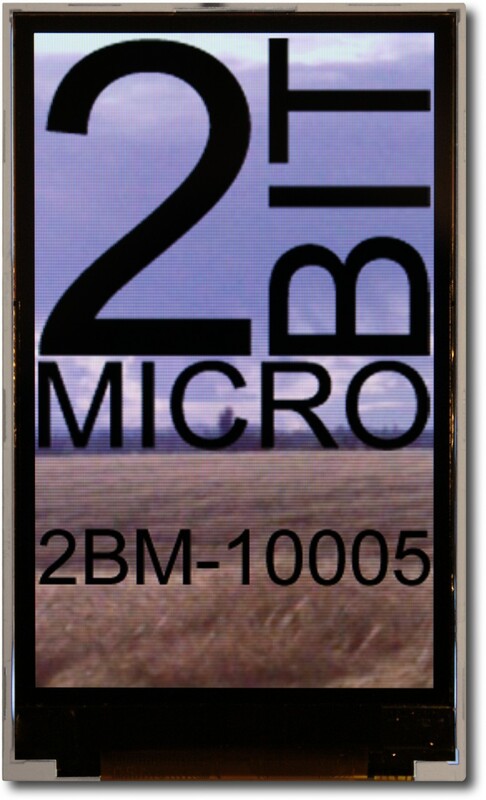 The 2BM-10005 is a 3'' diagonal 262K color 240x400 WQVGA TFT LCD module including integrated controller with a MCU interface and backlight driver IC. Using your microcontroller of choice and as few as 12 I/O lines (8 data bits, 4 control lines) you can communicate with this display. If display update speed is your main concern, you can also use the full 18-bit interface to the LCD for the highest throughput to the display. The connector on the board is a 0.10'' center pin header which allows you to use a high-tech display with a low-tech (low-cost) mating connector, or simply an easy to solder array of holes in your PCB. Click the button below to add the 3'' 240x400 WQVGA TFT with Interface Board to your wish list.